Undoubtedly, mobiles are one of the greatest inventions of technology, which not only helps you in communicating with your dear ones but are highly essential for work purposes as well. It is quite difficult to spend a day or two without your mobiles, as multiple tasks will remain on hold. Any issue with your mobile can directly hamper your work causing serious trouble for you. Innjoo is among the popular companies which produce advanced phones and tablets for its users. Despite providing the users with user-friendly features and durable mobiles, issues cannot be neglected entirely. If you are facing frequent problems with your mobile, it is always wise to look for Innjoo Mobile Repair at the earliest. UAE Technician offers you with the most effective and reliable repair services to resolve any critical issue with your device. Our experts are exceptionally skilled to redeem any critical mobile issue and repair it efficiently. We analyze the issues at first to find out the probable reasons and then take necessary steps to eliminate it. Our team provides you with relevant repairing solutions for various models of Innjoo mobile such as Innjoo 4, Innjoo Fire 4, Innjoo i3, Innjoo X2, Innjoo V1, Innjoo Halo LTE, Innjoo Note Pro, etc. We know what you search for while opting for a service. Hence, we look forward to matching your requirements. 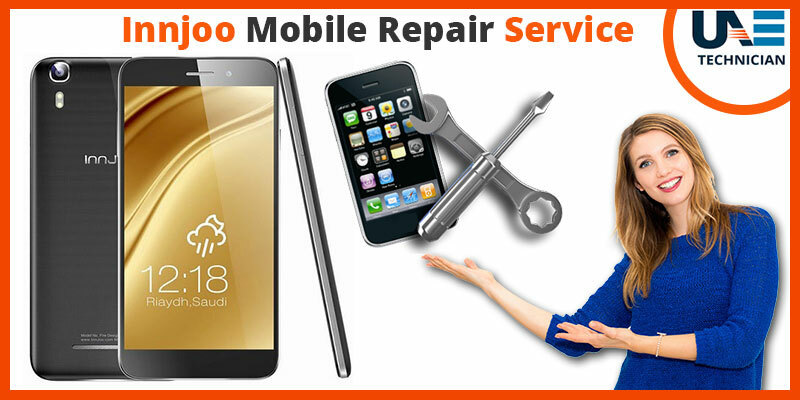 If your search is still on for reliable and effective Innjoo Mobile Repair in Dubai, you can reach us without making any delay. Our team not only emphasizes on providing you with accurate solutions but at the same time takes care of your budget as well. We offer brilliant services at an affordable price. To enjoy the benefits and choose the best repair service for your Innjoo mobile, you need to give us a call at our number: 042053349 . You can share your mobile issues with our experts on call at any time of the day. With our instant assistance, you will be able to find quick solutions for your device. We also provide Blackberry mobile repair service.